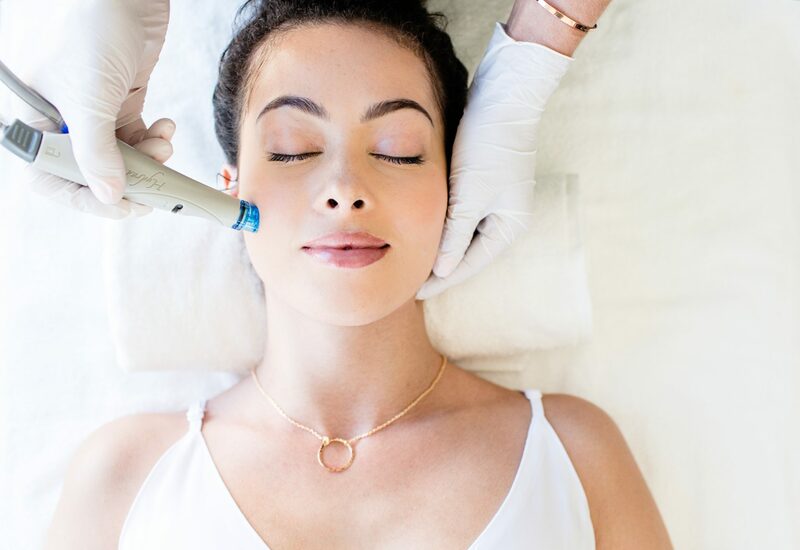 Hydrafacial is the only hydradermabrasion procedure that combines cleansing, exfoliation, extraction, hydration and antioxidant protection simultaneously, resulting in clearer, more beautiful skin with little-to-no downtime. The treatment is soothing, moisturizing, non-invasive and generally non-irritating. As with most procedures, visible results from HydraFacial will vary from person to person. • You will likely see results immediately after treatment and your skin may feel smooth and hydrated for one to four weeks with appropriate home care to maintain treatment results. • The skin is more susceptible to sunburn/sun damage. Avoid excessive sun exposure and use a minimum of SPF 40 sunscreen. Hydrafacial is also one of the most popular Men's Treatments that we provide. Schedule yours today! • Your skin may experience temporary irritation, tightness, or redness. These are all normal reactions that typically resolve within 72 hours depending on skin sensitivity. • You may experience tingling and stinging in the treatment area. These sensations generally subside within a few hours. • Client experiences may vary. Some clients may experience a delayed onset of these symptoms. See for yourself with these before and after photos of the hydration results. Regular Hydrafacial treatments can help your other products work better! Cleanse with Benefits. Click the Play button to learn how you can take the Perk system home with you!